We used to think—and many of us were taught in school—that the dinosaurs went extinct many millions of years ago. But now it seems like this might not be the case. Today’s biologists tend to think birds are dinosaurs, which means that, if true, the dinosaurs did not go entirely extinct after all. Some of them survived. Scientific ideas can change over time—just as scientific ideas about birds, dinosaurs and extinction have changed over time. Change like this means scientific experts can be wrong, and it also means they can disagree with one another. If scientists today think birds are dinosaurs, then current scientists think past scientists were wrong. It is also possible for scientists to disagree with one another in the present. And there is present disagreement about whether birds really are dinosaurs. By now, most biologists agree birds are dinosaurs—that they evolved from a group of maniraptoran theropods sometime in the Jurassic Period (around 150 million years ago). But not all biologists are convinced. Some think birds descended independently of dinosaurs, evolving from an earlier group of reptiles, possibly sometime in the Triassic Period (250–200 million years ago). The group of scientists who agree birds are descended from maniraptoran theropods has been rather cheekily dubbed the “Birds Are Dinosaurs Movement,” or BADM. On this account of the evolutionary history of birds, their closest ancient relatives would have been other maniraptoran theropods, like the charismatic dromaeosaurs (a group including Hollywood star Velociraptor). Those who dispute birds are descended from maniraptoran theropods are committed to the opposing notion that “Birds Are Not Dinosaurs,” or BAND. This was actually the dominant view of most biologists until a series of important fossil discoveries, beginning with Deinonychus antirrhopus (described by John H. Ostrom in 1969). So, how might one decide between BADM and BAND? One intuitive response to expert disagreement is to think we ought to wait until the science is settled—until there is no more disagreement—before endorsing a position. But this is actually a very problematic stance to take. It is extremely easy to manufacture uncertainty (keeping the science from ever seeming settled), and to generate new sources of debate (leading to novel and perpetual instances of disagreement). This is something that has historically happened with the science linking smoking to lung cancer and with the science linking CO2 emissions to climate change, and with the science unlinking MMR vaccines from autism. Looking at these disputes reveals that uncertainty and debate can linger on, long past when they should reasonably expire as genuine impediments to science and policy. So, if we cannot use total certainty or complete consensus to settle a scientific disagreement, what can we use? Historically, one popular way to decide is to apply the philosopher of science Sir Karl Popper’s (1934) criterion of falsifiability: to ask which of the positions under scrutiny can be tested, and rejected if they fail the test. If a position is not falsifiable, then it is not scientific, and should be rejected for that shortcoming alone—or, so this line of reasoning goes. One problem with this line of reasoning is, again, that scientific ideas can change over time. We need to allow for some alteration and development of these ideas, while also honoring the scientific commitment to testing and potentially rejecting them. In the ongoing dispute between BADM and BAND, both positions have offered and tested various claims; both positions have falsified and rejected various hypotheses; both positions have altered and developed their ideas. Popper’s falsifiability criterion does not conclusively help us here. Another relevant notion we might consider is Thomas Kuhn’s (1962) idea of scientific paradigms. The BADM and BAND camps plausibly are competing paradigms in a Kuhnian sense; however, describing them in this way does not necessarily help decide between them. But what if we could, conceptually speaking, combine these two ideas—Popper’s and Kuhn’s? What if we could adopt Kuhn’s notion of paradigms, in order to appreciate how members of scientific communities consider complex rather than isolated bundles of commitments, along with Popper’s notion of falsifiability, in order to emphasize how scientific processes are designed to empirically test and sometimes reject these commitments? In the early 1970s, the Hungarian-born philosopher of science Imre Lakatos suggested that looking at scientific research programmes in this sort of hybrid way could distinguish healthy (or progressive) research programmes from unhealthy (or degenerative) ones. A healthy research programme, according to Lakatos, generates testable hypotheses that, when corroborated, add empirical content to the core commitments of the programme. In this way a “protective belt” of material from different sources—of facts the programme can explain, predictions it has risked, and tests it has survived—builds up around the core. Image credit: Chronological depiction of the Lakostosian model applied to BAND. Used with permission. Image credit: Chronological depiction of the Lakostosian model applied to BADM. Used with permission. Compare the last entry in each series. Notice how BADM has built an extensive, multi-faceted protective belt around its core, while BAND has not? The BADM position has an extended recent history of both considering and corroborating claims; the BAND position has considered many claims, but has been much less successful when it comes to testing them. In the debate about bird origins, the dinosaurian contingent is winning. So, did the dinosaurs go extinct? Not entirely. Birds survived, and they are dinosaurs. This position is so well supported by current science that science communicators and educators should feel utterly confident disseminating this view. Scientific researchers in both paleontology and ornithology should likewise expect research that treats birds as dinosaurs to be more cohesive and fruitful than research that does not. Finally, and speaking more generally, how should we handle scientific disagreement? By conceiving of scientific positions in terms of complex rather than isolated bundles of commitments, and by examining the comprehensive history of empirical testing that each position has. This combined approach can help practitioners and observers alike to distinguish healthy from unhealthy positions in scientific debate. 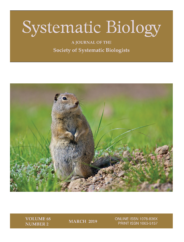 For more on this topic, please see the author’s recent paper in Systematic Biology, co-authored with paleo-ornithologist N. Adam Smith. Joyce C. Havstad is a philosopher of science at Oakland University in Michigan. She has worked on a marine reserve, in a gene expression laboratory, and behind the scenes at a natural history museum. Her philosophical work is influenced by her background in scientific practice, and she is dedicated to confronting conceptual and ethical complexity throughout biology, chemistry, medicine, and paleontology. Article says birds are descended from dinosaurs. I’m descended from fish, n reptiles; but I’m not a fish or a reptile. This is a nice illustration of using Lakatos to approach the topic of scientific disagreement, to be sure, but it doesn’t address the central question, the one you seem to raise in the introduction: how do non-experts (ordinary people, policy makers) approach scientific disagreement? We non-experts won’t by any stretch of the imagination have the knowledge of the field needed to create anything resembling the Lakatosian comparison suggested. But why on Earth would we look for “total certainty” or “complete consensus” or “no more disagreement”? That would only be relevant if the issue was viewed as a question of “accept/reject” (as if the only option is credence 1 or 0), which is also what you seem to suggest by using terms like “endorsing”. But no one minimally rational would approach scientific disagreement as a matter of binary choices. The reasonable position for non-experts seems reasonable straightforward. Look at the distribution of the beliefs in the hypotheses: suppose 80% of experts adopted BADM and 20% accepted BAND. Then I, as a non-expert should have 0.8 confidence in BADM and 0.2 confidence in BAND (or perhaps rather something like 0.75 and 0.15, leaving 0.1 for some unknown catchall) (ideally, the credence distribution should be adjusted for the experts themselves having various levels of confidence, and certain dynamics of expertise groups like confidence-derived-from-common-sources and suchlike). The persisting focus of “certainty” or binary accept/reject choices even in contemporary epistemology is genuinely puzzling to me. No one minimally rational would approach theories claims about the world as a matter of either accepting or rejecting them tout court, but rather as a matter of adjusting their levels of confidence to the evidence accessible to them. I think the best reason to think that birds are dinosaurs (and so the dinosaur taxon did not go extinct) is to be found in the taxonomic philosophy known as cladistics. For cladistics, a biological taxon is a monophyletic group, meaning a group consisting of an ancestor and all of its descendants, even if the descendants are different from that ancestor in any respect you care to mention. ‘Fish’ isn’t a taxonomic category, just a word for a group that doesn’t include all of its descendants. Mammals actually aren’t descended from anything in Reptilia, as ‘Reptilia’ has been redefined since the 80s. But birds are reptiles, since they’re in the group circumscribed by living reptiles. Just like birds are dinosaurs, birds are archosaurs and birds are diapsids, and you and birds are amniotes, and tetrapods, and osteichthyans, and gnathostomes, and vertebrates, etc..
Like it or not, the vast majority of zoologists only use terms that include all descendants of a group. The days of Invertebrata and Insectivora are over.